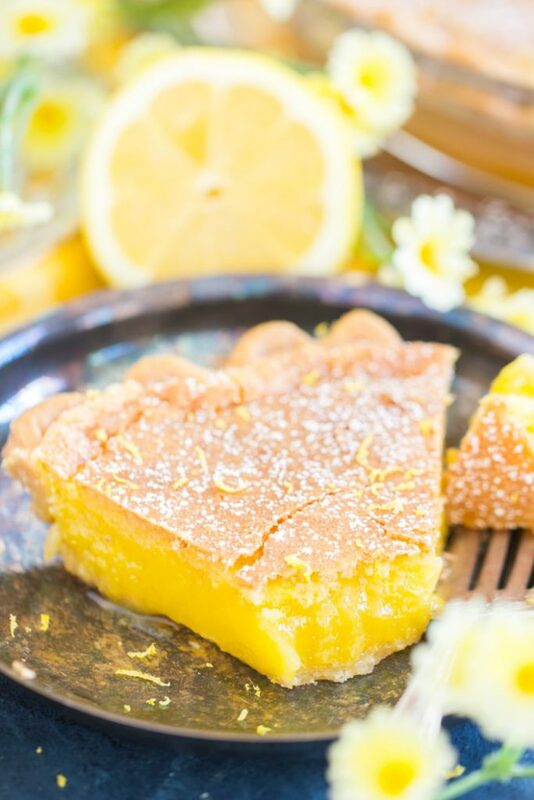 A super simple, classic southern pie, this Lemon Chess Pie recipe doesn’t get much easier, and it’s a sweet-tooths’ dream! 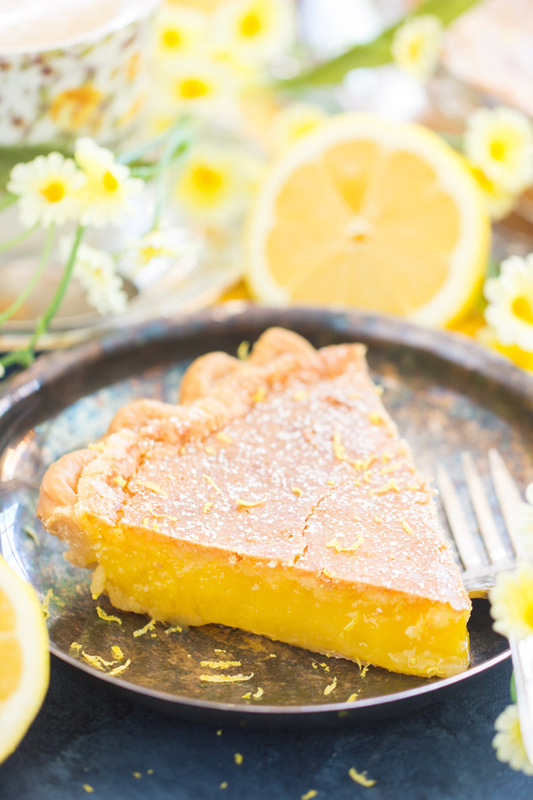 This Lemon Chess Pie recipe produces a sweet, tangy, creamy, lemon-kissed, mind-blowing dessert! 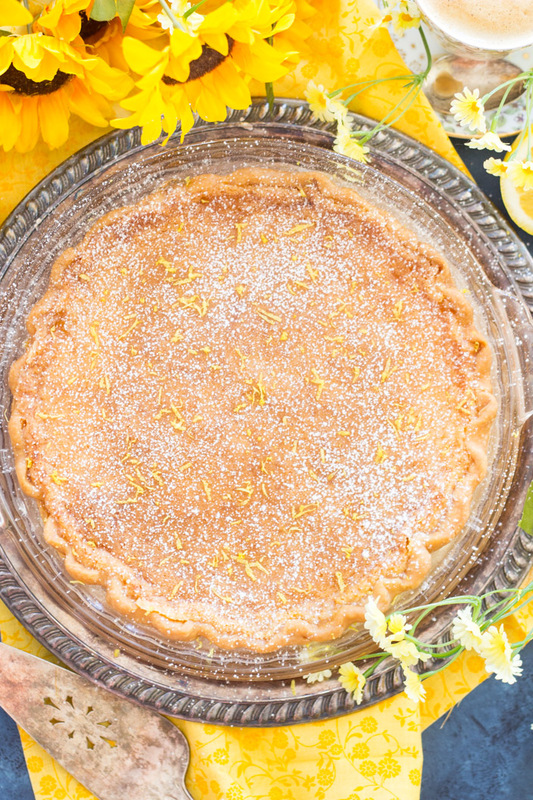 A springtime variation on a classic Chess Pie. I was excited to make a Lemon Chess Pie before I ever even made a classic Chess Pie. Of course, to understand Chess Pie, I made a simple, classic one first, but I couldn’t wait to start making variations on it before I ever made the original. Over the years, I’d noticed Chess Pie recipes in magazines and online, but I’d never made one. It was on my radar though, and I planned to do it at some point. My uncle brought a Chess Pie to a family dinner a few years ago, and as soon as I tried it, I was hooked. I knew I would want to adapt it in a variety of ways, least of all this Lemon Chess Pie. Also on my list to make soon: chocolate! But I haven’t gotten there yet. Once you’ve got a solid classic Chess Pie recipe down, it’s easy to create spinoffs. Chess Pie is lovely. It’s ultra-simple, but highly unforgettable. The ingredients are mostly basic staples in your pantry or fridge, but the whole is greater than the sum of its parts. This pie in its complete form is much more than just sugar, butter, cream, vanilla, eggs, etc. Besides zesting a few lemons, which is admittedly a small pain, you otherwise just whisk everything together and pour it in the pie crust. 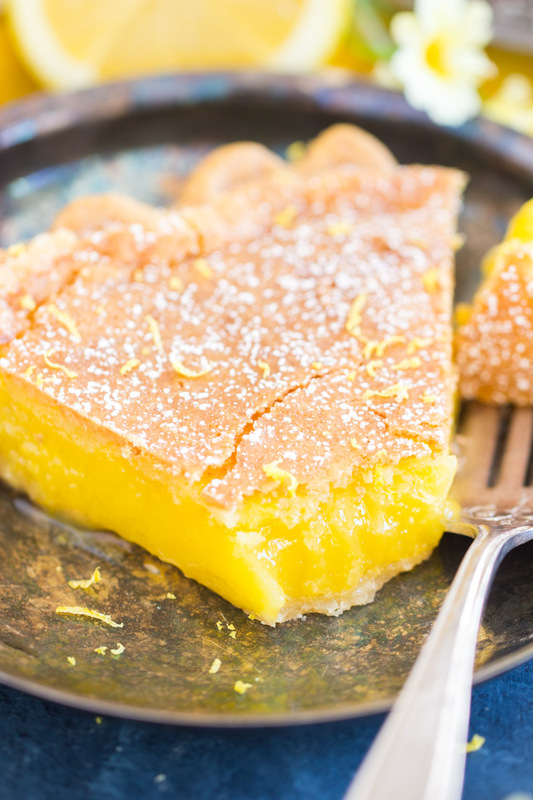 The filling is a breeze in this Lemon Chess Pie! 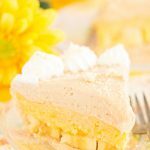 It reminds me a lot of my Gma’s Lemon Bars, but sweeter, and in pie form. It’s custard-like, but sweeter, and kinda creamy. The golden brown top of this pie is slightly crunchy and crackly. Plus, it’s tart and tangy with fresh lemon zest and fresh lemon juice. 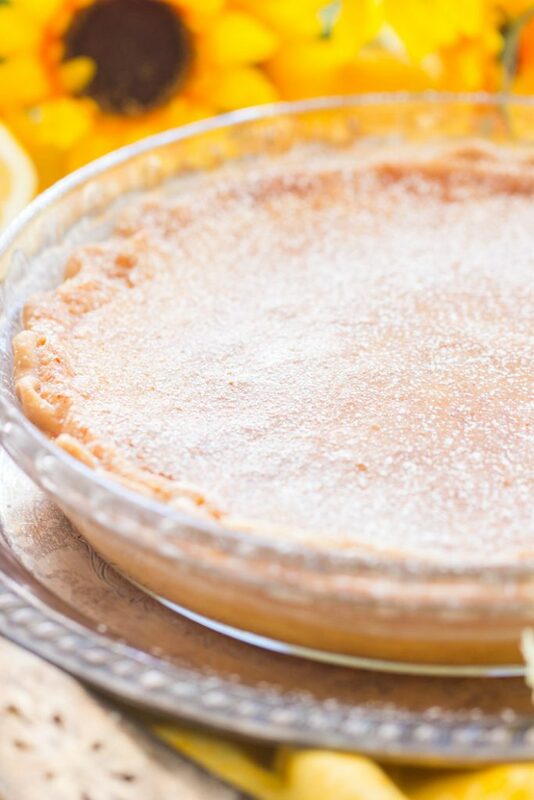 This Lemon Chess Pie recipe uses just a store-bought pastry crust (I hate making crusts! ), but you can certainly substitute to suit your preferences. 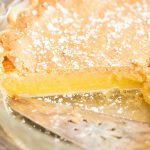 As I said when I posted this Classic Chess Pie a few months ago, my uncle makes this pie all the time, and he sometimes uses a graham cracker crust or shortbread. Whatever your pleasure! 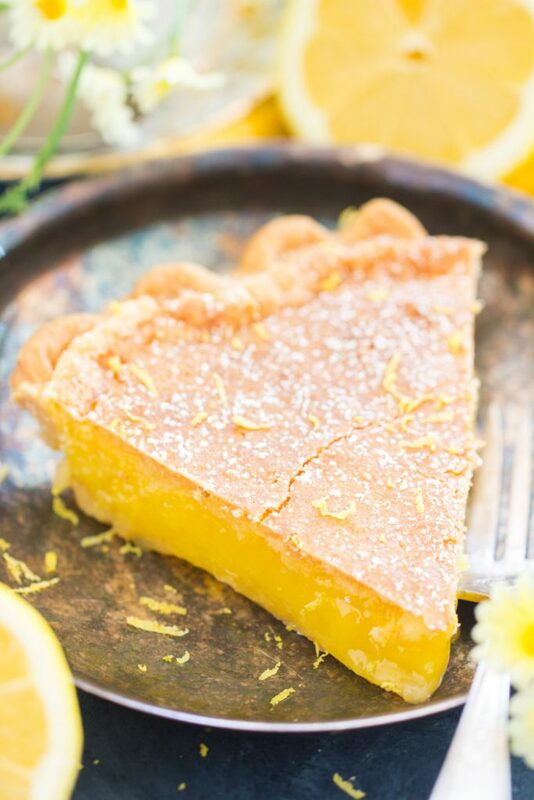 A super simple, classic southern pie, this Lemon Chess Pie recipe doesn't get much easier, and it's a sweet-tooths' dream! 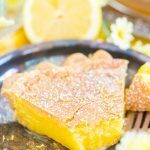 This Lemon Chess Pie recipe produces an ultra sweet, tangy, creamy, lemon-kissed, mind-blowing dessert! Bake at 425 degrees for 10 minutes, or until edges are lightly browned. In a large bowl, whisk together remaining ingredients (except powdered sugar). Bake at 350 degrees for 45-50 minutes, or until the top is golden brown and center appears mostly set. It does not need to be completely set - it will set as it cools! Also, it's normal for the entire top (not just edges) to brown. Dust with powdered sugar before serving. Cut and serve. Fun fact: pecan pie is a form of Chess Pie too! Here’s a few faves: Fireball Pecan Pie, Honey Pecan Pie, Brown Butter Bourbon Pecan Pie, Chocolate Espresso Pecan Pie, Orange Coconut Pecan Pie, and White Chocolate Cranberry Pecan Pie. Enough ideas for ya? 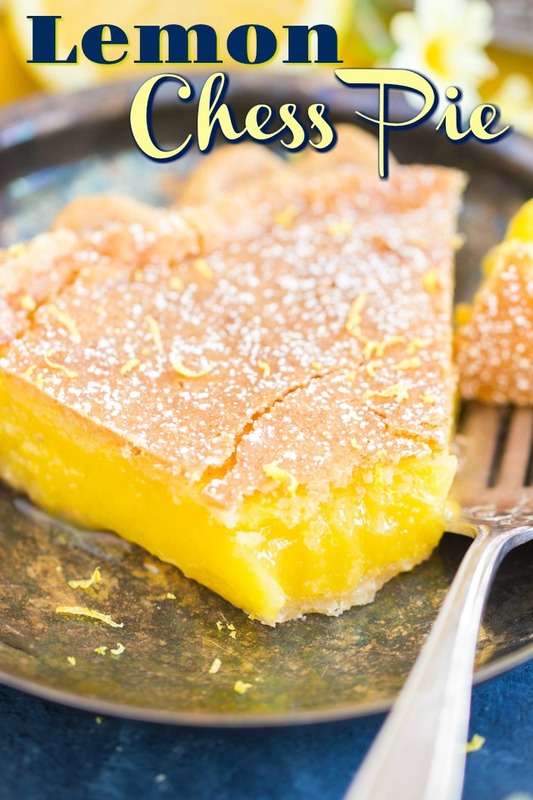 Simple Classic Chess Pie Recipe – this is SENSATIONAL. This is a beautiful looking pie! 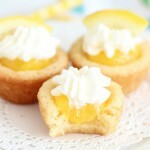 Does the vinegar help bring out the tartness of the lemon juice or is this a very sweet pie. Lemon is a favorite of mine. 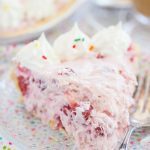 I think the vinegar actually serves to make it like you’ve made this pie with buttermilk instead of regular milk. In fact, I think buttermilk would substitute for the milk + vinegar, it usually does. It also cuts down on sweetness a bit, yes, and it makes the texture more custard-like because it interacts with eggs. That’s my understanding! It’s still a very sweet pie. 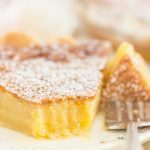 If you’re familiar with classic lemon bars, it reminds me a lot of lemon bars! Thank you for the quick reply. Will be making it soon!